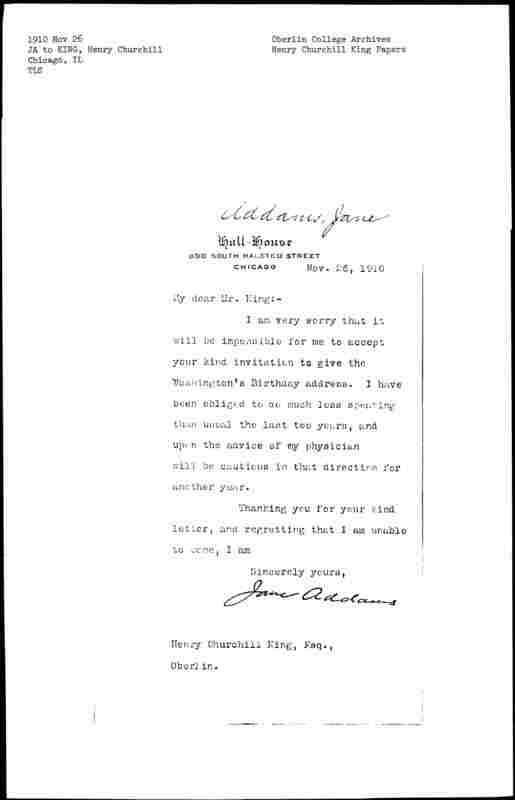 I am very sorry that it will be impossible for me to accept your kind invitation to give the Washington's Birthday address. 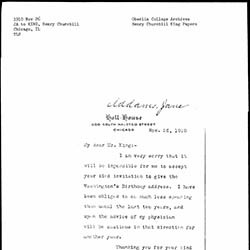 I have been obliged to do much less speaking than usual the last two years, and upon the advice of my physician will be cautious in that direction for another year. 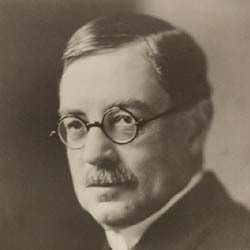 Under the advice of her physician, Addams declines King's invitation to give the Washington Birthday address at Oberlin College. 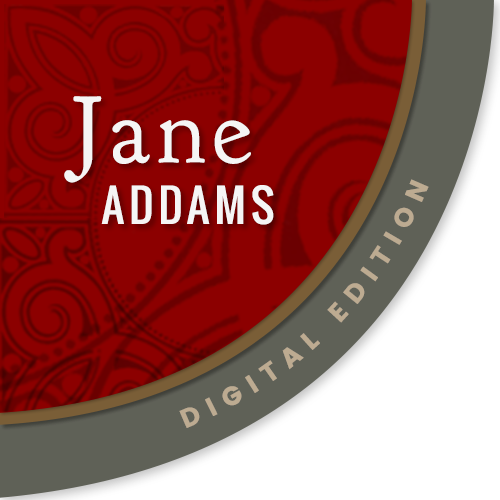 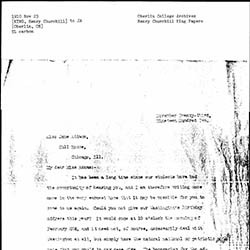 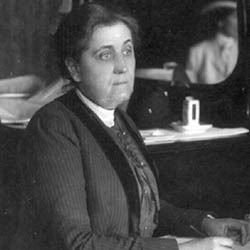 Addams, Jane, “Jane Addams to Henry Churchill King, November 26, 1910,” Jane Addams Digital Edition, accessed April 25, 2019, https://digital.janeaddams.ramapo.edu/items/show/3018.